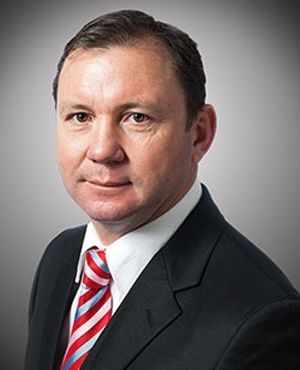 The past financial year was the toughest one he could recall, the CEO of Shoprite Holdings [JSE:SHP] Pieter Engelbrecht said on Tuesday at the company's results announcement. The supermarket group declared a dividend of R2.79 cents per share for the year ended July 1, 2018, bringing its total dividend for the year to R4.84c – compared to R5.04c for the previous financial year. Diluted headline earnings per share were down 3.8% to 968.7c, net profit for the year was down 4.1% to R5.2bn, while trading profit was down 1.4% to R8bn. Engelbrecht, speaking at the results announcement, said the group would not make any excuses. "All in all I am still very proud for what we did in very trying circumstances. It is easy in the current economic climate to become despondent, but we are definitely not," he said, while a slogan on a screen behind him read "the toughest steel is forged in the hottest fire". He mentioned the one percentage point increase in VAT in SA as one one of the factors that made an impact, not only for businesses, but also for consumer spending, together with the sugar tax. "The fundamentals of this business, however, remain sound. These fundamentals are to grow customers, to grow volumes and to grow market share - all of which we still did in the past financial year," he said. "We now have a total of about 148 000 employees and keep on creating more jobs, which is what SA needs in the current socio-economic climate." The group's selling price inflation during the past financial year was the lowest it had been in seven years, he said. Speaking on the impact of the listeriosis outbreak, Engelbrecht said the resultant need to double or triple testing and food safety audits, while needing to clean and re-clean distribution centres, trucks and stores all impact its results. The outbreak also led to a loss in sales. The group decided to absorb the extra costs related to having to deal with the outbreak and did not pass the extra costs on to its customers. These extra costs amounted to a "couple of billion rand," he said. Engelbrecht said the supermarket would continue to priorities low prices. "Our core Shoprite customers cannot afford another VAT increase on top of increases like the sugar tax. So, we will continue with our food subsidies. More than 1 000 items in our stores are under R5 and the Western Cape government wants to maybe work with us regarding our nutritious low-cost meals." "In the past our diverse portfolio managed to off-set our SA operations and those outside of SA. This time it was not enough to off-set, especially the hyper-inflation in Angola. Yet, I am confident that Angola will earn its rightful place in our portfolio again." Engelbrecht emphasised that operations outside SA are still profitable, although they are down when compared to last year. "We still have the customers. We are setting goals. Then we form a plan and then we 'mark our exam papers' to see if we achieved those goals. And if we don’t make it, we will tell you things as they are," he said. "We are, for instance, investing more in products that are the most important to our price sensitive shoppers." The group is certainly not disillusioned about the rest of Africa, he said. "In the next 30 years the population on the continent will double. At the rate of urbanisation taking place, formal retail will have place on the continent," he said. "We are already in 16 countries in Africa. We are not going to run away from Africa. We will invest through the cycles, including economic downturns and upturns."